Organized around the Wiccan year, the book also contains monthly spring-to-spring astrological calendars�complete with notable sacred pagan events, moon phases, horoscopes, weather, and advice. This year�s theme is Plants and Healing Herbs and includes material on saffron for robes of virtue, roses (the goddess flower), chocolate (the food of pleasure), absinthe (the green fairy), papyrus (the plant of civilization), and the language of flowers. 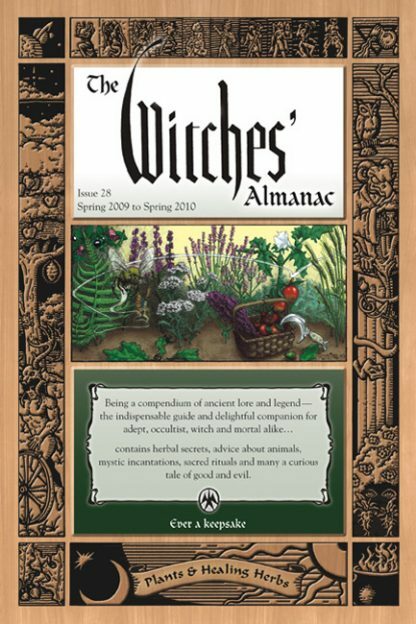 Delightfully illustrated with black-and-white line drawings throughout, The Witches' Almanac also offers a wide variety of amusing and informative essays and tales from around the world that highlight the various facets of the Craft and the occult to enrich readers' practice year round.